Our pair of Barbados seagrass counter stool measures: 18 Inches Wide, 20 Inches Deep, 35 High. 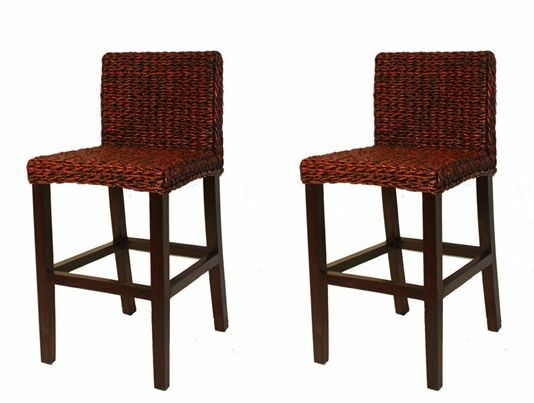 The Barbados counter stool is a tasteful blend of woven seagrass finished in a warm reddish brown on a solid mahogany wood frame. The Barbadose seagrass counter stools can be used as a stand alone item used at your counter top or can be used to match either our Barbados dining set or our Barbados sectional seating group. Seat Height is 25 inches.